Acura bills the MDX as “the best selling three row luxury SUV of all-time.” There is rhyme to the reason. Equipped with a 290 hp 3.5 liter V6, it is no slouch. 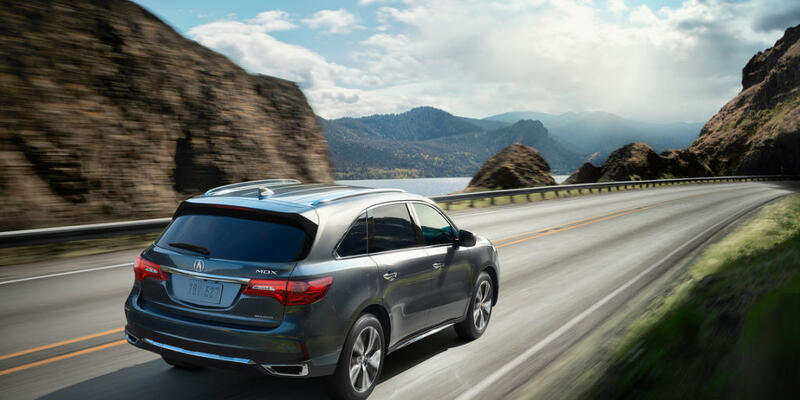 Reviewers rave about the MDX’s agile handling and claim it “drives” much smaller than it is. However, a somewhat sloppy 9 speed transmission paired with an annoying fuel saving start-stop system will agitate the more performance oriented driver. 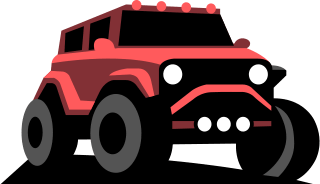 Alternatively, these features contribute to the impressive fuel economy ratings: 19 mpg city and 27 mpg highway, one mpg less respectively for all wheel drive equipped models. All new for 2017 is the MDX Hybrid which includes advanced technology adapted from the NSX, Acura’s hybrid supercar. The 3.0L V6 paired with three electric motors produce 321hp and an even more impressive fuel economy rating: 26 mpg city/27 mpg highway. 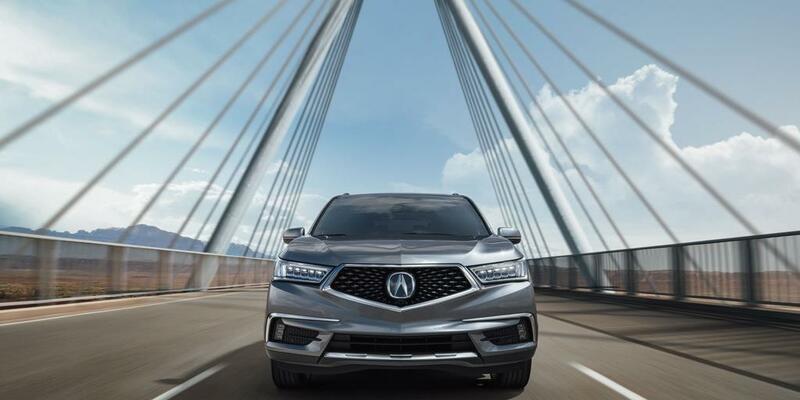 All models come standard with three rows of seating, advanced “AcuraWatch” safety features, and Siri Eyes Free which make the MDX the practical choice in the segment. Numbers don’t lie. The sales figures prove the base MDX’s value. A comparably equipped rival can easily top $60,000. It’s unlikely that 50,000 consumers are wrong each year. It is the practical choice in the midsize luxury SUV segment. The technology, ride quality, superior sound and safety make it an incredibly attractive package. The MDX performs better than nearly all of the vehicles in the segment, making up for the relative lack of luxurious interior. Strong residual resale value makes the MDX the fiscally responsible choice when compared with German competitors. The MSRP for the base model is $44,050 and a host of option “packages” can bring the price tag all the way to $58,500. This price range attracts potent competition in the form of the Audi Q7, Lexus RX350, Volvo XC90, BMW X5, and Lincoln MKX. The base model is incredibly well appointed, but no sum of options will turn this Acura into an Audi. That said, the MDX offers a great value with a plethora of desirable standard features. Some standard features like an adaptive cruise control or a lane departure warning system warrant four figure option prices from competitors. The MDX is powered by the J35Y5, a variant of the legendary J series Honda engines built here in the USA. With 290 hp and world renowned Honda reliability, complaints about the power plant will be few and far between. Even the industry’s harshest critics have no negative words on the matter. The nine speed ZF transmission is another story altogether. A reluctance to downshift frustrates many drivers and detracts from the usability of the ample powerband. Conversely, the Hybrid’s 7-speed dual clutch shifts like a charm, making the hybrid model all the more attractive. The 3.5L logs a 0-60mph time of 6 seconds flat, half a second behind the Audi Q7 but well ahead of competitors like the Volvo XC90 and Lincoln MKX. The Hybrid reaches naught to 60mph in a blistering 5.7 seconds, the same as a 2000 Porsche Boxster S or 2004 Nissan 350z. That’s impressive, considering it can haul a family of seven and achieves nearly 30 miles to the gallon. A hybrid SUV putting up dedicated sports car numbers puts progress in engineering in perspective. The suspension is world-class and strikes a precise balance between comfort and performance. Steering is sharp and predictable and will impress, whether carving the twisties or merely surviving crowded parking lots. Considering the interior is where the driver will spend a majority of their time, it is the defining category for a “luxury” branded vehicle. While the Acura’s interior is quite nice, it falls short of the competition in the luxury category. There is nothing about the MDX’s interior that distinguishes in from a well equipped Honda. Even the optional Milano leather and real wood inserts leave something to be desired when compared with the plush Lexus RX350 or the Audi Q7. However, if you’re in the market for an MDX, you’re probably more pragmatic about interior appointments and this setback is not a deal breaker. The infotainment system might be. 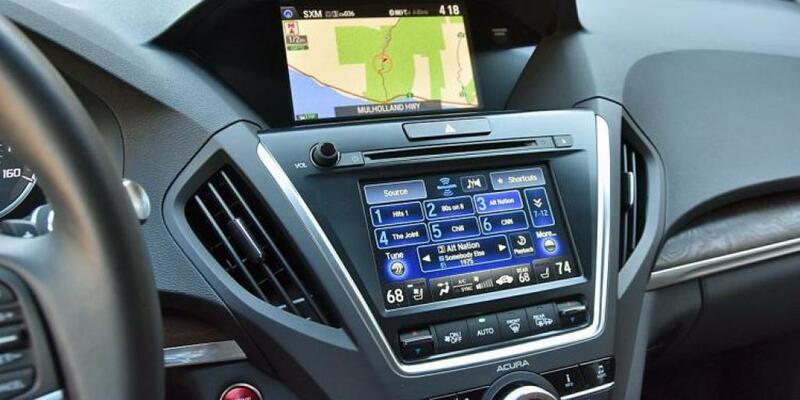 The MDX’s dual touchscreens and confusing software make even the simplest tasks dangerously distracting. Time spent using the system will likely improve this problem, but an intuitive infotainment system is an expectation in 2017.On a more positive note, the audio system is superb. You won’t find a better factory system anywhere, Germans included. Perhaps the most radical change from past models, the 2017 MDX features a redesigned front end and rear fascia. The prominent chrome beak, Acura’s watermark for the last several years, is nowhere to be found on this model. Instead, a large grille, jeweled headlights, and aggressive intakes grin at the observer, reflecting the performance capability of this SUV. The lines flow reasonably well from front to rear and the available 20-inch aluminum alloy wheels suit the MDX perfectly. There is nothing particularly eye-catching about the MDX’s design, nor is anything an eyesore. The design seems to reflect its prospective buyer: subtle and refined, practical yet elegant. The MDX received the lowest possible reliability rating from JD Power with little explanation. Further research revealed common complaints about the transmission and little else. We recommend using the standard paddle shifters to alleviate this headache. The transmission doesn’t know what gear to select but you do. Besides, it makes driving more fun. When compared with other cars in the segment, reliability is more or less comparable. When and if issues need to resolved, the MDX is considerably cheaper to repair than its German counterparts. The MDX is highly rated by the Insurance Institute for Highway Safety, with a perfect score in every category except rollover. The high score can, in part, be attributed to the AcuraWatch safety system. AcuraWatch is included in all models and uses a high tech system of cameras to mitigate the risk of collision. Drivers have griped that the system can be a bit enthusiastic with the braking, but better a spilled cup of coffee than a new front end. The optional Blind Spot Information system indicates an unseen automobile’s presence with a light in the mirror. If the driver signals in the direction of the aforementioned auto, the light will blink and a beep will sound. There are several mid-size luxury SUVs, but we believe the 2017 Infiniti QX60 represents the gas-only MDX’s stiffest competition. The 43,000 base MSRP puts it in direct competition with the 44,050 base MDX. Like the MDX, it comes loaded with standard features and 3rd row seating. The QX60 shines in the latter. 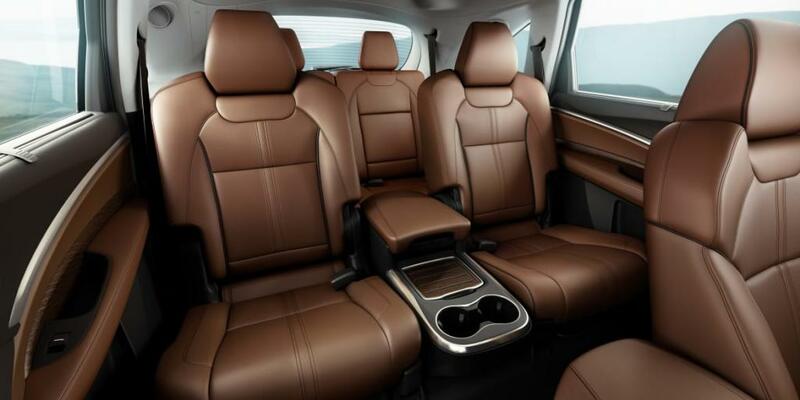 The MDX 3rd row seats will not comfortably accommodate adults, while the QX60 most definitely will. There is a tradeoff, the QX60’s performance suffers from the added heft. Though the QX60’s 3.5L packs a 295hp punch, five more than the MDX’s, the 653 lb weight difference makes the QX60 driving experience much less lively. The QX60’s 0-60mph time is 1.1 seconds slower at 7.1 seconds. Both achieve roughly the same fuel economy ratings. To equip the QX60 with the safety features that come standard on the MDX, the sticker is increased by $12,000 dollars. 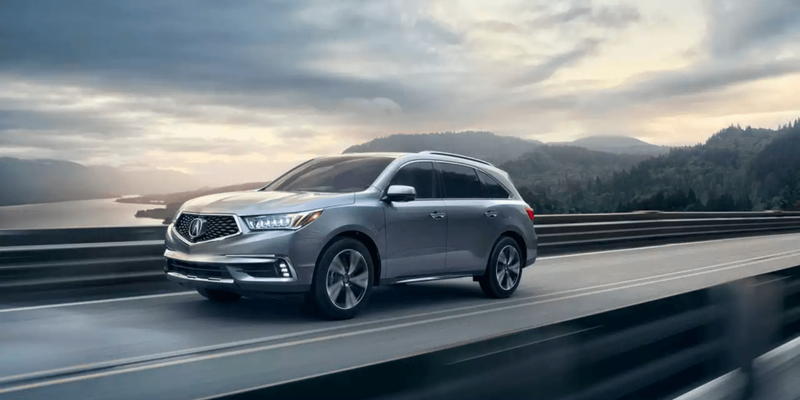 As a result, we believe the MDX represents a better value at the base price in addition to inducing more smiles behind the wheel. However, if 3rd row comfort and a more luxurious interior are must haves, the QX60 is a stronger choice. The truth is there is no direct competition for the MDX Hybrid in the luxury segment. Sure the Lexus RX Hybrid is competitively priced at $53,035, but the difference in performance is cavernous. The RX is a second slower to 60 mph and handles like a tank when compared with the MDX’s razor sharp steering. However, the RX’s interior is leagues ahead of the MDX’s. The fit, finish, and materials ooze luxury and justify the performance difference. There is no available 3rd row seating in the RX which further distinguishes the difference between the two. To achieve the performance of MDX out of a hybrid, the closest competition is the Porsche Cayenne Hybrid which starts at $78,700. It is a tenth of a second quicker to 60 mph at 5.4 seconds. Obviously, the Porsche Cayenne Hybrid is a superior machine in almost every aspect. Is it 30,000 dollars better? We think not. At everyday driving speeds, the difference in performance is negligible. The MDX Hybrid is not really designed for speeds in excess of 80 mph, whereas the Porsche is engineered for lawbreaking speeds. If you have an extra 30k and a lead foot, go for the Porsche. Otherwise, the MDX represents the best bang, or lack thereof, for your buck. If it were our purchase, we would definitely go for the hybrid model. Better performance, better gas mileage, no sloppy transmission, what’s not to love? The gas only MDX with Super Handling All Wheel Drive and Technology package totals at just under a grand shy of the Hybrid, which includes the SH-AWD and Tech pkg. So unless you plan on buying the base model, the Hybrid is a much better value.